The nine lures pictured are all the same age & came direct from Ken in April 1993. 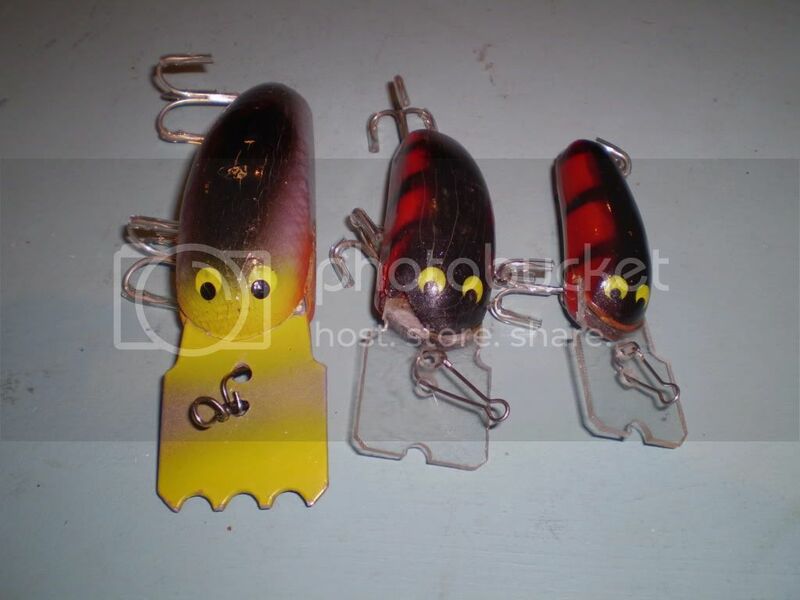 No two of these lures have the same identifying features to help age Ken's lures. Same sized lures have different coloured eyes &/or different styles of eyes as can be seen with the two larger 110mm lures. Some had pinned bibs whilst others had screwed bibs. Some signatures were hand written, some stamped and some had no signature. The pics are self explanatory and describe the differences. I knew Ken and fished with him in the "old days" and should have asked a lot more questions about his lures. If anyone thinks they can ID &/or age Ken's lures by any of the normal/usual distinguishing features then they are a better man than me. Similar sized lures showing different profiles. Different signatures & signature positions. Some different bib styles can be seen in the various pics, plastic, steel, corrugated and straight, different type corrugations, shallow & deep. As you can see they are all different in one way or another. Not the prettiest lure made but extremely collectable from one of Australia's true luremaking gentlemen. Thanks Chief, what's the theory with the grooves in the bibs ? I've notices they have different numbers, even in some that are the same model. 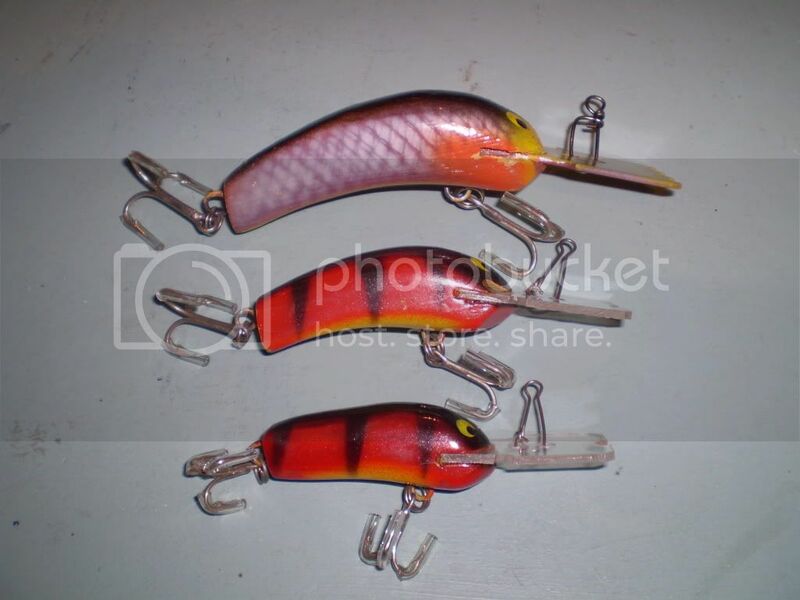 Chief, a fantastic line up of lures in great condition too, don`t you swim any of your lures???. No two of Kens are the same & I think thats one of the things that makes them special for me. I have no idea of the actual fact behind the bib corrugations. A guess would be to suggest Ken had a liking for Arbogast Mud Bugs. I've swam many of Ken's lures over the years and have left more in rivers and impoundments than I have left. Wont swim for them ? I'll post some I swam for yesterday in the fishing reports.